Ecotoxicology offers an overview of current ecotoxicological problems. It includes basic ecotoxicological concepts, as well as information about chemicals and toxic substances that may cause harmful effects on the ecosystem and its living components. The book, with a total of 48 chapters, is divided into three parts. 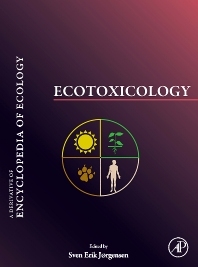 The first part includes the basic concepts of ecotoxicology, starting with an introductory chapter on ecotoxicology as a subdiscipline of ecology; assessment on ecotoxicological effects and risk; and properties and effects of toxic chemicals. These topics are further discussed throughout the book, along with nomenclature, focal topics, and the history of ecotoxicology. The two remaining parts tackle harmful properties and harmful chemicals. The second part also covers bioaccumulation, bioavailability, biodegradability, biodegradation, and biomagnification. It also provides models for ecotoxicological populations, ecosystems and landscapes, and on food-web bioaccumulation. Chemicals including benzene, copper, lead, nitrogen, phenols, pheromones, phthalates, plutonium, and uranium are covered in separate chapters in the final part. This book will be of great value to ecologists, ecotoxicologists, and environmental managers.